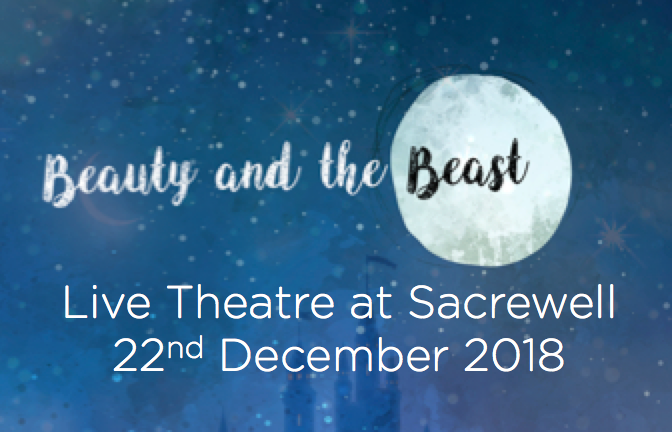 A professional production of Beauty and the Beast will be performed at Sacrewell this Christmas. Inspired by the original French fairy tale, the production is packed full of live music, comedy and energy, by Peterborough based theatre company Lamphouse Theatre. Young Beauty’s life is changed forever when her poor merchant father picks her a rose from the Beast’s dazzling castle garden. Beauty becomes mistress of the enchanted castle and the befriends the misunderstood Beast who lavishes her with gifts. But one day Beauty breaks her promise and leaves the castle. The Beast becomes sick with heartbreak, can Beauty save him in time? Beauty and the Beast will be performed at 11am, 2.30pm and 6pm on the 22nd December – we advise pre booking your tickets online. Please arrive at least half an hour before each performance.